You can support Blundell's School by making a regular gift (i.e. annually, quarterly or monthly) or by making a single donation. Donors are welcome to choose where the donation will be used by indicating the specific fund for it to be allocated. 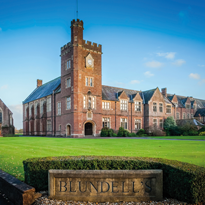 This Fund, allows those who may not ordinarily be able to afford a Blundell’s education to do so. Visit our website for more information about how to support a pupil in need. The Fund helps provide extra support for equipment and projects that may not have been able to take place through fee income alone. You can choose a specific project or select to allocate it to 'where it is needed most. Download more information and the donation form here. Help us fill up Big School – with smart, comfortable seating for use in the hall. All donors can name their chair! Download more information and the donation form here.